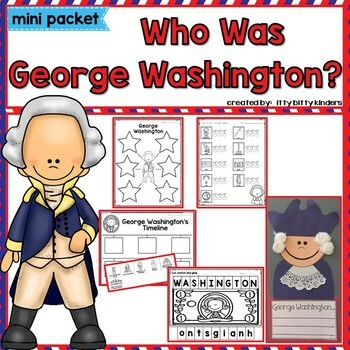 This mini-packet will help you introduce George Washington in an EASY, FUN, and FAST way. 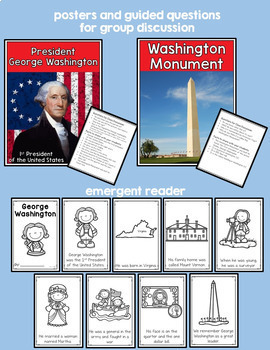 It includes activities to teach your students in a span of 2-3 days about the first President of the United States. • a variety of printables including: word search, uppercase/lowercase letter matching, counting syllables, cut and paste, writing (2 options), and a graph. Please open the preview to see everything that is included. 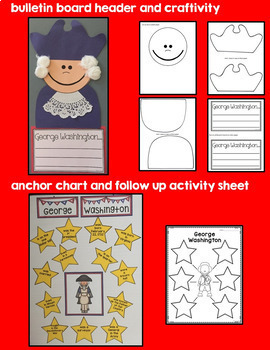 (these activities and bulletin board display can be used if you’re also teaching about Abraham Lincoln and Donald Trump in your class). 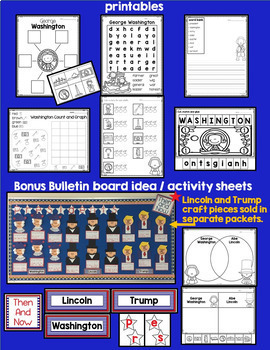 PLEASE NOTE: The craft pieces for the bulletin board display can be found in our Abraham Lincoln and Donald Trump mini packets in our TPT store (They are NOT included in this packet).